Definition at line 35 of file Graph.php. 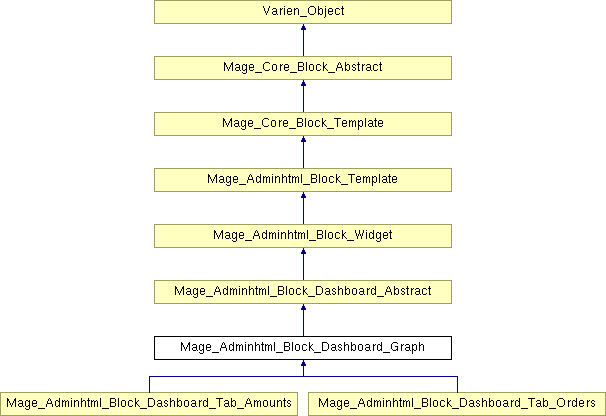 Reimplemented in Mage_Adminhtml_Block_Dashboard_Tab_Amounts, and Mage_Adminhtml_Block_Dashboard_Tab_Orders. Definition at line 55 of file Graph.php. Definition at line 375 of file Graph.php. Definition at line 61 of file Graph.php. Definition at line 71 of file Graph.php. Definition at line 85 of file Graph.php. Definition at line 90 of file Graph.php. Definition at line 392 of file Graph.php. Definition at line 369 of file Graph.php. Definition at line 340 of file Graph.php. Definition at line 76 of file Graph.php. Definition at line 386 of file Graph.php. Definition at line 357 of file Graph.php. Definition at line 66 of file Graph.php. Definition at line 363 of file Graph.php. Definition at line 37 of file Graph.php. Definition at line 38 of file Graph.php. Definition at line 39 of file Graph.php. Definition at line 41 of file Graph.php. Definition at line 51 of file Graph.php. Definition at line 44 of file Graph.php. Definition at line 49 of file Graph.php. Definition at line 53 of file Graph.php. Definition at line 43 of file Graph.php. Definition at line 48 of file Graph.php. Definition at line 46 of file Graph.php.